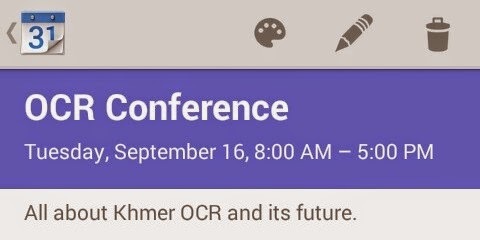 As I have been stated in previous article about "The State of The Art", KhmerOCR is always in researching state and no yet the ready product. More recently, some groups are challenging this and welling to introduce the product by forming a concreted team for that. Together there are some individual team also are doing the same thing here. The joint team by some universities and individual researchers was formed a meeting recently on 31st July. Now it's not yet to detail how will be but it's great to see more people were happy and willing to contribute into the project for our Cambodia. 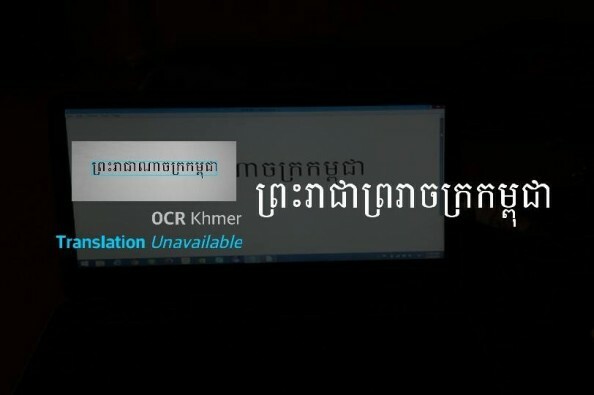 According to the video, the online OCR project is likely to be running on printed image of the font size of 36pt. The project is asking for funding of $4,000 at the website of gofundme.com. It's great to see the product some where around, let's help him, you can click here for more info.